Momentum Health has a saying: “Your health is your wealth”. They believe that overall financial wellness improves the quality of life. That is why they offer a wide range of products and services such as Momentum insurance . That meets every possible financial wellness need of their clients. The Momentum health plans fall into six groups. The Ingwe Option. This is Momentum’s most affordable entry-level option. It offers cover for in-hospital treatment for up to R1 060 00.00 per year per family. So members may choose any hospital that forms part of the Ingwe network. And if they choose a state hospital, however, they can enjoy even lower monthly premiums. In addition, the plan also offer chronic medication and cover for day-to-day medical expenses. Members are required to use service providers that are members of the Ingwe network. Other benefits include maternity cover and a range of screening tests. The Access Option provides cover for hospitalisation costs. There is no limit but members must make use of private hospitals that are part of the Access network. Members may also consult with practitioners that are part of the Access network for day-to-day medical treatment. Preventive screening tests and maternity benefits also form part of this option. The Custom Option. Members of this option enjoy unlimited cover for hospitalisation in any private hospital of their choice. If members opt for treatment at Associated private hospitals they will, however, save on their monthly contributions. Members may choose any doctor or pharmacy for the treatment of chronic conditions. Once again, however, members can save on their contributions if they use an approved doctor. In fact, members can enjoy even lower premiums if they agree to treatment at a state facility. Provision is also made for certain preventive screening tests and day-to-day medical expenses. The Incentive Option. This option also provides unlimited cover for hospitalisation in any private hospital. Opting for Associated hospitals will mean a lower monthly contribution. The same goes for treatment of chronic conditions: members may choose any doctor or pharmacy but they can save money by rather using a doctor from the list of approved service providers. The use of state facilities can also result in significant savings. One tenth of the monthly contributions is placed in a special savings account to use for day-to-day medical expenses. The Extender Option. With this option from Momentum Health members enjoy the same benefits as those enjoyed by the members of the Incentive option. They can save money by agreeing to use approved hospitals, doctors and pharmacies for hospitalization and treatment for chronic conditions. With this option, however, a quarter of the monthly contributions is placed in a special savings account. This money can be used for everyday medical expenses. Members can increase their cover by opting for HealthSaver. The Summit Option. This is the top-of-the-range option offered by Momentum Health. Members enjoy unlimited cover for in-hospital treatment at any private hospital. Members furthermore enjoy unlimited cover for the treatment of chronic conditions and other day-to-day medical expenses. They may use any private doctor or pharmacy. By opting for HealthSaver members can even increase their cover. Is Momentum the best medical aid? This is a very difficult question to answer. Momentum Health certainly provide for almost every need and budget. The truth, however, is that many members of schemes such as Discovery Health, Sizwe medical aid and others are perfectly happy with the service they receive. Importantly, medical aids in South Africa enjoy an excellent international reputation. 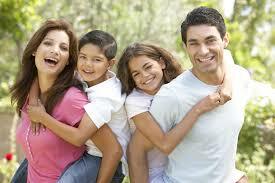 So the best route may be to obtain several health insurance quotes and to study the benefits offered by each plan. Accountability. Momentum Health believe that they have an obligation to operate in a transparent manner and to make sure they honour all the obligations they have towards every one of their stakeholders. Diversity. Momentum Health firmly embraces diversity at all levels of their large organization. They believe that different backgrounds and perspectives only serve to broaden the base of talent available to the entire organization. Excellence. Momentum Health strive toward the highest standards of excellence in everything they do. Innovation. Momentum Health challenge themselves to continually improve their services and products and to encourage their employees to keep growing in their personal and professional capacities. Integrity. Momentum Health vows to keep their promises and to be honest at all times. Teamwork. Momentum Health accepts the fact that all members of all teams have valuable contributions to make. They encourage input and they reward creativity.